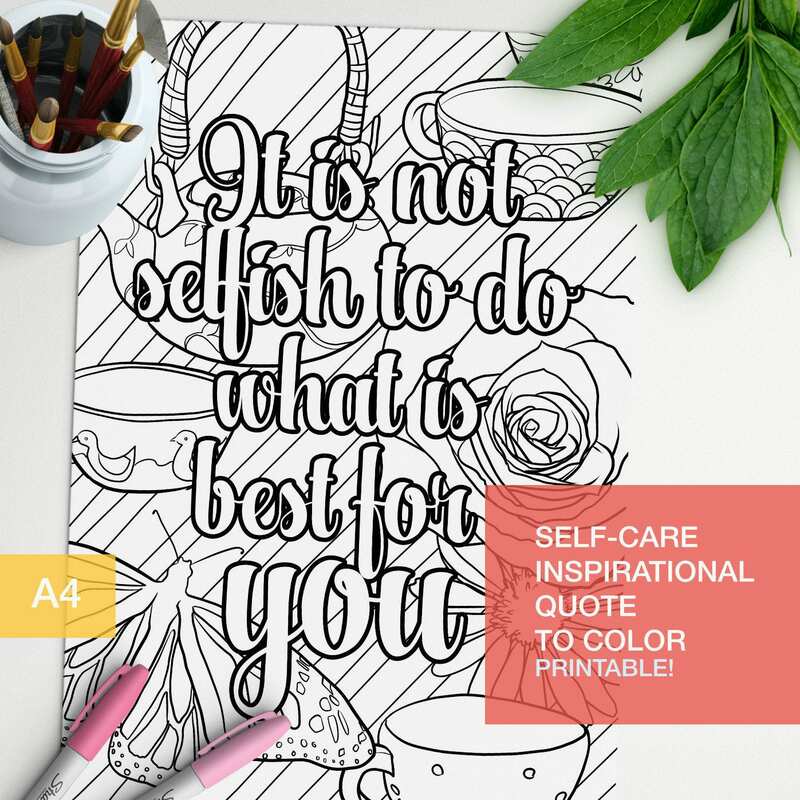 Adult color book motivational quote "It is not selfish to do what is best for you" with tea and flowers. Make your own inspirational art!! For either your bullet journal or your motivation wall.